It is now abundantly clear that the IRS is Obama’s Gestapo. We all know that Obama has had the IRS to attack conservative groups, a scandal that has gone nowhere, but now newly proposed laws will make his actions LEGAL. Conservative groups will now be targeted with no legal recourse. On another front, Obama will use the IRS to force people into signing up for Obamacare. Simply put, if you do not sign up they will keep your tax refund…but that will just be the beginning. Democrats, fearing initial public outcry, opted to not allow the IRS to seize property or bring criminal charges over a person for not meeting the ‘minimum requirements’ set in Obamacare. However, do we REALLY believe that they will stop at seizing tax refunds, or will we one day see people losing their homes or going to jail for refusing to sign up to Obamacare because ‘they are harming the system and harming others’ because the system must include everyone for it to work. Socialism doesn’t accept half-commitments. Tyrants don’t tolerate opposition. WASHINGTON, D.C. – “Non-profit groups must prepare to fight back [against] the IRS on yet a second front,” warns Cleta Mitchell, a partner in the Washington-based law firm Foley & Lardner LLP, well-known for providing expert legal advise to conservative groups seeking tax-exempt status. In discussions throughout the Capitol, Mitchell has expressed her concern new rules proposed by the IRS demonstrate once again the Obama administration is determined to keep tea-party groups from having the type of impact on the mid-term elections this November that they had in 2010, when Republicans grabbed majority control of the House of Representatives. “This is a real assault on the First Amendment rights of American citizens, and we need to do everything we can to stop the IRS from implementing these new rules,” Mitchell says. At stake this November is the possibility conservative tax-exempt groups campaigning for conservative Republican candidates for Congress might increase the Republican majority in the House and grab enough seats in the Senate to topple the current Democratic Party majority, she explains. The Democrats in Congress appear this year to be particularly vulnerable given the debacle witnessed by the nation in the Obamacare implementation plus increasing economic data that shows job growth slowing, with historic numbers of Americans dropping out of the labor force. The proposed rules can be found published in the Federal Register here, again under the title “Guidance for Tax-Exempt Social Welfare Organization on Candidate-Related Political Activities,” dated Nov. 29, 2013. In a fact sheet Mitchell is distributing to conservatives, Mitchell is advising clients to file comments before the deadline on Feb. 27, 2014, to a series of new regulations the IRS proposes to implement with the goal of making sure conservative organizations with 501(c)4 status are prohibited before the upcoming mid-term elections in November 2014 from any activity associated with supporting a political candidate or influencing the outcome of an election. “Conservative groups that do not submit comments to the IRS opposing these rule changes before the Feb. 27 deadline will not have standing to participate in the final rule-determination process required by law before the rules are implemented,” Mitchell explained. Mitchell is encouraging conservative groups and individuals to insist in their filed comments that the IRS must hold public hearings in open forums around the nation before these proposed new regulations are implemented. Last week, the IRS scandal deepened when the Washington Times reported the Justice Department selected Barbara Kay Bosserman, a DOJ trial lawyer, who had contributed to Obama’s presidential campaigns in 2008 and 2012 as well as to the Democratic Party, to lead the criminal probe into the IRS targeting conservative groups to deny their applications for tax-exempt status. Mitchell in her discussions with conservative groups has explained the activities the IRS seeks to define as “candidate-related political activities,” subject to taxation and reporting to the IRS, are basic 501(c)4 activities such as grassroots lobbying, candidate forums, candidate debates, voter registration drives, voter guides and issue advocacy. The individual mandate, Obamacare’s requirement that all Americans have health insurance that includes “minimum essential coverage,” has been in effect for two weeks now. No one has noticed because nothing has happened. But it will. The mandate is the heart of Obamacare; without it, supporters believe, the system won’t work. So the Obama administration hopes millions of Americans will voluntarily comply with the mandate and purchase government-approved coverage. If they don’t do it voluntarily, they’ll be punished. Starting next year, the government will collect a penalty — the administration calls it a “shared responsibility payment” — from Americans who don’t go along with the Obamacare edict. The penalty starts small — just $95 per adult and $47.50 per child this year — but could conceivably reach thousands of dollars per family per year once the fee scale is fully in effect. The threat of coercion lies behind the entire Obamacare scheme. The question for the coming year is, how coercive will the government be? The Democrats who wrote the Affordable Care Act in 2009 gave the Internal Revenue Service power to collect Obamacare penalties. 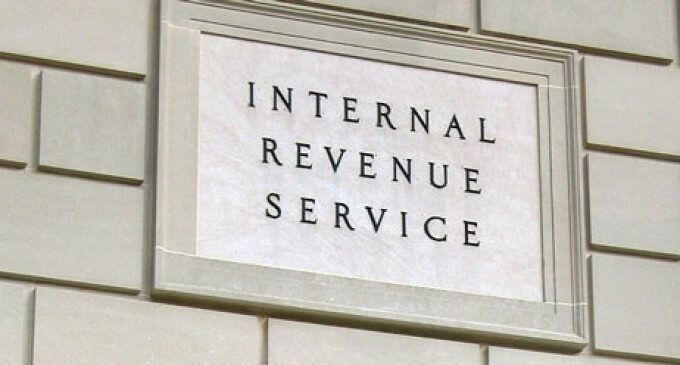 Many Americans are quite familiar with how coercive the IRS can be. Fearing public opposition to IRS threats, the law’s authors forbade the IRS from bringing criminal charges or seizing houses and property from those who don’t buy government-defined “minimum essential coverage.” But Democrats still gave the IRS significant authority. The main leverage the IRS will have is the refund “offset.” That simply means if a taxpayer is due a refund, but has also incurred an Obamacare penalty, the penalty will be subtracted from the refund. So a taxpayer who has a $500 refund coming but incurs a $695 Obamacare penalty will receive no refund. Will the government really do that? The answer is not clear, or at least not publicly clear. (In response to inquiries, IRS officials sent boilerplate, non-enlightening clips from IRS publications.) But the administration’s level of aggressiveness will likely be determined by how many Americans voluntarily comply with the law. Obamacare needs a lot of them to survive. In the last few months, discussion often focused on the prediction that the system needed to enroll seven million people by the time open enrollment is over at the end of March. But even if Obamacare reaches that goal — and it’s doubtful right now — that is just the start. To work, Obamacare must keep growing. A lot. How does it get there? Well, if Obamacare is a great deal that millions of Americans love, it will reach the goal with no problem. If, on the other hand, it presents Americans with policies that don’t fit their needs, are too expensive, have cripplingly high deductibles, and narrow choices of doctors — well, many Americans will balk at buying such a product. It’s not that they will reject health coverage; it’s that they’ll reject health coverage that’s a bad deal.